jOIN OUR patreon, Donate and Shop! How We Roll Podcast, will always remain free, regardless of the number of donations we receive. However, if you can donate even a little, not only will you receive our undying gratitude for your support, but you will help ensure that we can cover costs, continue investing in the show and most importantly keep releasing high quality content every week! 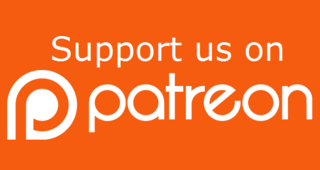 One of the best ways to support us is through a monthly donation on our Patreon page. Not only will you be helping the show, but you will also receive early releases, bonus material and a chance to play on the show! If you'd like to make a one off donation to us directly, you can use our PayPal account! t-shirts, bags, mugs, and more. We have shops in both the UK and USA. Send us picks of your How We Roll stuff!